Today, during Reading Buddies, a censorship momentum started. 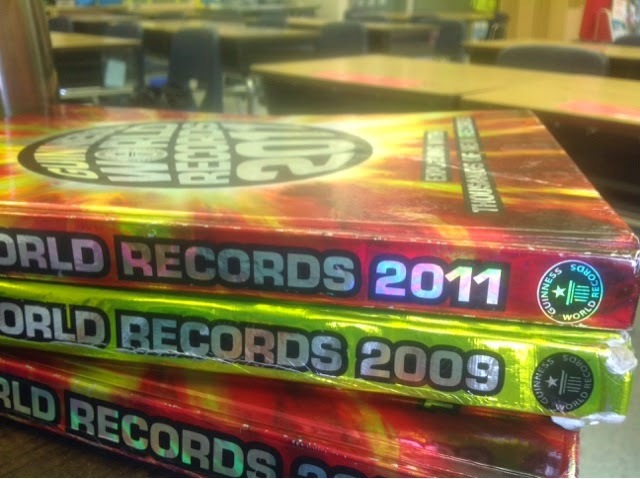 Guinesses Book of World Records has always been a popular read in my classroom. This year my kids think they are inappropriate though. I told them I wasn't entirely sure I agreed that they were inappropriate and asked them to sticky the inappropriate pages. A frenzy of stickie use began!! Not even sure how to go about teaching a lesson on censorship in Gr. 3! !